9 Easy Galentine’s Day Party Ideas for the Procrastinators Knock Knock Says Screw Valentine’s—Do Galentine’s! 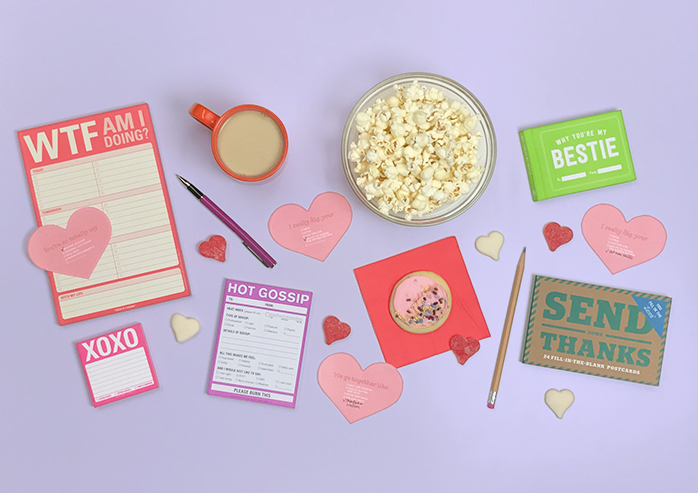 Want to host a Galentine’s get together that would make Leslie Knope proud? 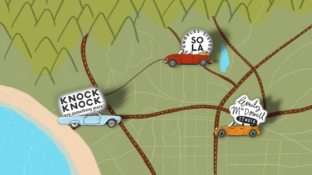 Whether it’s brunch, karaoke, or a TV-binge night, foolproof your plans with these quick tips that require only 47 percent actual effort. 1. Fancify your invites. Graphic-design sites like Canva offer free, customizable, easy-to-use templates for the design-challenged. 2. Potluck it up. Have your guests bring their favorite dish to share. You won’t break a sweat and herbivores can eat all the hummus they want—a win-win. 4. Bake a Golden Girls Cake. Thank them for being your friends by making this delectable Double Fudge Amaretto Ricotta Cheesecake, inspired by The Golden Girls. Make Sophia proud. 5. Get the “Girl Power” Tunes Going. For party music, we suggest Spotify’s “Who Run the World? Girls!” playlist. Lip-sync battles are welcomed. 6. Bring on the aperitifs a-plenty. Sure, you can make chic cocktails for your buds, like The Rose Noir or The Elderflower Champagne Cocktail. But this delicious Watermelon Basil Agua Fresca recipe only has 5 ingredients and looks amazingly refreshing. 7. Flatter friends with compliments. Galentine’s Day is all about women celebrating women. While in a circle, go around and say one nice thing about someone else there. You can also fill out a Why You’re My Bestie book, but prepare for waterworks. 8. Get inked (sort of).Use temporary tattoo paper (we didn’t know it existed either) and print Galentine-themed tats to show off. 9. Say thanks.After the party, thank your BFFs for coming with surprise thank-you cards via snail mail. 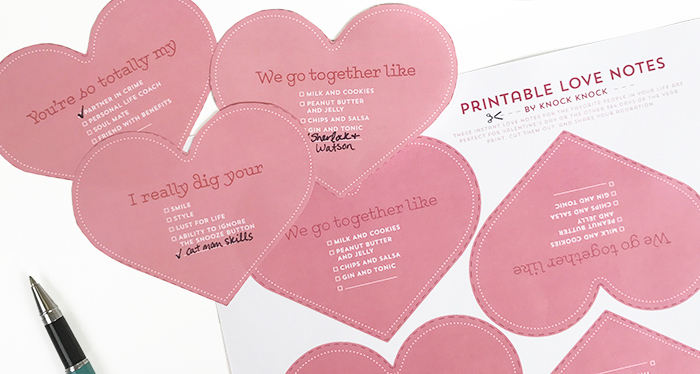 We hear our Send Some Thanks Fill in the Love® Postcard Set is oh-so helpful. We hope you and your gal pals have a happy Galentine’s Day. How are you celebrating? Share with us in a comment.